Some movies get killed by critics for no reason. 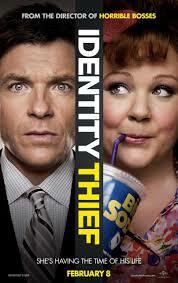 A movie like Identity Thief exists for one reason: to ENTERTAIN! And for those of us who pay for our tickets and watch with a regular audience, that’s all we ask for. Critics on the other hand apparently want more out of a silly comedy..and that’s a shame. Melissa McCarthy proves she has a future by delivering laughs with a little bit of heart and Jason Bateman proves he is one of the best funnymen around. Anyone who has ever seen a road comedy (Planes, Trains, and Automobiles, Tommy Boy) has seen this one before…but a least with this one what you see is what you get. The ads do not lie…this one is funny. See it and enjoy.